Apple’s at it again. Just a month after their colossal iPhone 6 announcement, the company has returned to the stage unveiling even more upgrades. Apple fans are especially excited about the iPad Air 2 and iPad Mini 3, along with Apple Pay launch dates, and updates to the good ‘ole iMac computer. Dubbed the “world’s thinnest tablet,” the iPad Air 2 is Apple’s greatest accomplishment, sporting an anti-reflective coating and a faster A8X processor chip. Apple has also upped the tablet’s photography capabilities, offering time-lapse and slow motion recording. 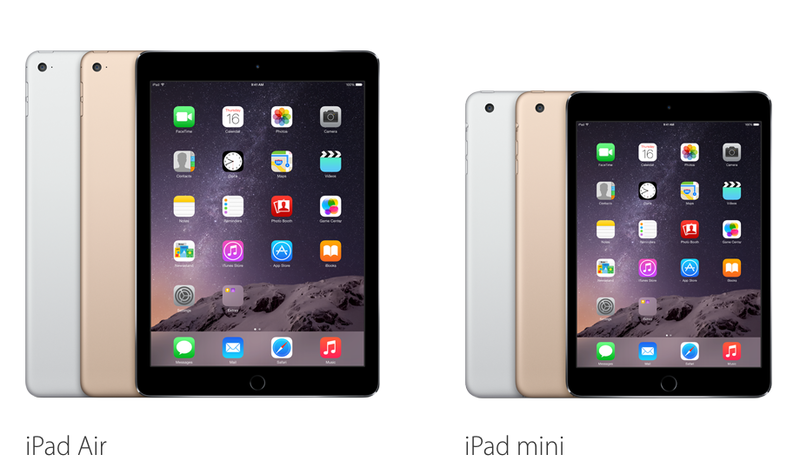 While fanboys are psyched about the iPad Air 2, they’re less thrilled about the new iPad Mini. It took two years for Apple to update their most affordable tablet, and still, the iPad Mini 3 is eerily similar to its predecessor. Apple has done nothing but tweak the tablet – the device is now available in three colors, silver, space gray and gold, and features a fourth-generation Intel Core processor. The iPad Mini 3 also touts better graphics and wifi capabilities. Other big announcements included the official launch date for Apple Pay – Monday, October 20th – and an improved iMac display – a high-resolution Retina 5K, to be exact. Comedian Stephen Colbert made a cameo, endorsing Apple’s security features – this was likely a response to the recently leaked celebrity nudes, for which iCloud security was wrongfully blamed. At the end of the day, fanboys left the event with optimism for Apple. After record-breaking sales of the iPhone 6 and 6 Plus, these new tablets will inevitably see similar success.